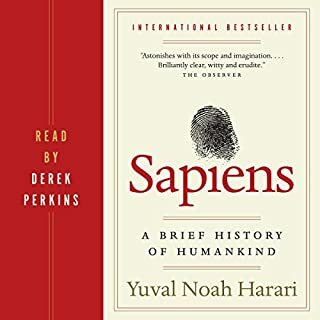 Really interesting book and well narrated. Even if you're familiar with the current story of our biological evolution, that story is retold in a really digestible way. There's much more in here than biology though. Philosophy, psychology and explanations of our behaviour and relationship to out environment from the beginning to modern day. I couldn't even fit an index of it all in a short review. I'll definitely listen to this again.